Get out of town with these interesting San Francisco side-trips: Wine Tours & Tastings (in Napa), Muir Woods National Monument (in Mill Valley) and Modus Operandi Cellars (in St. Helena). 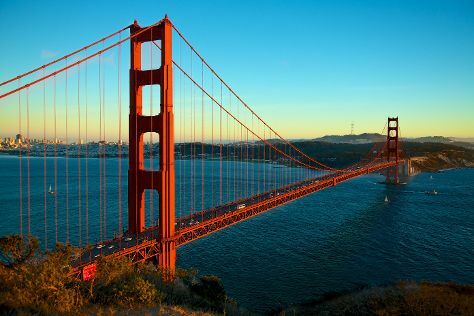 There's much more to do: take in the views from Golden Gate Bridge, admire the natural beauty at Japanese Tea Garden, take your sightseeing to a higher altitude at Twin Peaks, and tour the pleasant surroundings at Golden Gate Park. For maps, photos, traveler tips, and other tourist information, read our San Francisco travel route planning tool . In March, plan for daily highs up to 65°F, and evening lows to 50°F. Wrap up your sightseeing on the 19th (Tue) to allow time to travel back home.